The Galapagos Islands is one of the last remaining refuges for endangered sea turtles, nature’s ancient and intrepid mariners. 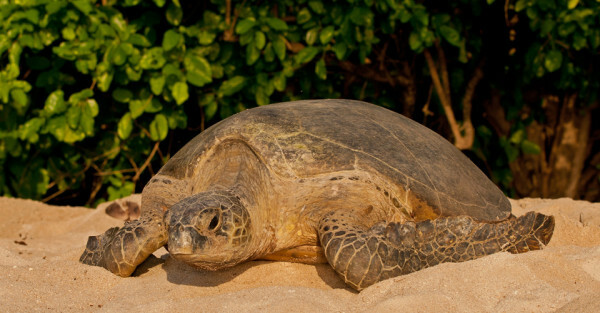 Globally, there are seven species of sea turtles, nearly all of which are endangered and five of which are supported by World Wildlife Fund conservation efforts, including green, hawksbill, loggerhead, leatherback and olive ridley species. 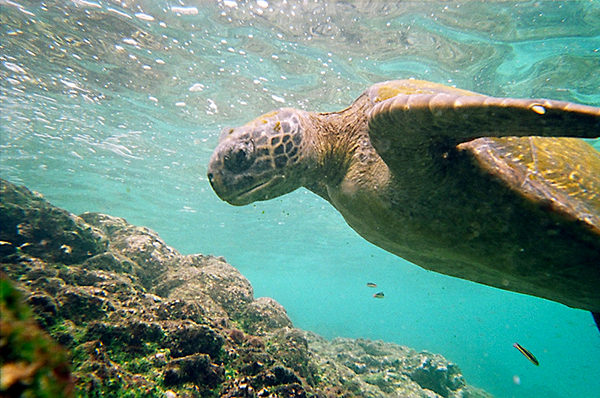 However, worldwide conservation efforts, including experiential education and conservation travel, remain the sea turtles’ best hope for future survival. In recent years, World Wildlife Fund scientists have even attached a camera to a sea turtle’s back in order to give researchers – and all of us – a glimpse of the world from a sea turtle’s point of view. If you like seeing the world from that vantage point, then journey to the reefs off the coast of Belize, a remote destination that offers an exotic experience where you may be able to swim with sea turtles. If you are looking for a nature adventure that includes hands-on sea turtle conservation efforts, then be sure to check out unique conservation trips to Selingan Turtle Island in Borneo or La Escobilla turtle camp on the Pacific coast of Mexico. Visit the World Wildlife Fund website to learn more about the gentle sea turtle, global efforts to protect it, and what you can do to help.